Our plan all along was to get the kids their bikes for Easter. I figured it was the perfect gift going into the spring and summer seasons and we don’t have any other majors holidays coming up before their birthdays in the fall. I snagged Crosby’s bike on a good deal weeks ago, but when we went to order Kenley’s it was out of stock…and still is. 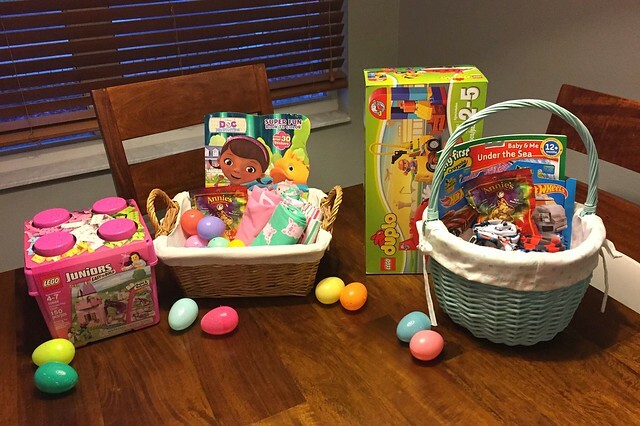 So… I scrambled last minute to put together baskets for them. I love how they turned out, but am still a little sad the bike isn’t here yet. Knowing my luck, it’ll come this week, but whenever it does, they’ll get a fun surprise! Kenley’s basket included Lego Juniors Princess Play Castle, Piggy Pajamas, Doc McStuffins coloring book, Annie’s Graham Crackers, and a few eggs filled with Starburst Jelly Beans. Crosby’s basket included Lego Duplo Town Airport, Car Pajamas, My First Coloring Book, Annie’s Graham Crackers, and two Hot Wheels cars. Of course the kids loved their baskets, so that’s all that matters! 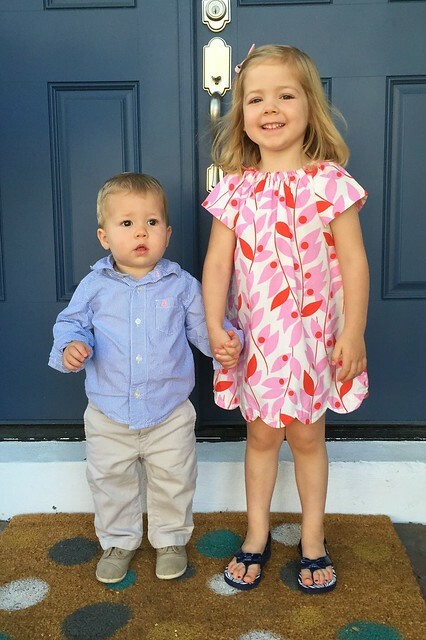 I’m linking up with the good life blog’s Easter basket blog hop. Hope you had a wonderful resurrection Sunday!